My Favorite Bookmarking Sites | Brand On! I use quite a few tools to save or bookmark links to websites that I find useful. So I thought I’d run down my favorite ones. Every day, I probably save at least 8-10 links for future reference. My vast libraries of links have served me well. There’s a direct benefit between taking a few seconds to properly save and tag a link, and later saving time quickly relocating it vs. starting from scratch on Google. You often can’t recreate a search you did on Google. Think about the meandering nature of a typical web search. You might go through 5-10 sites initially trying to find exactly what you need. By saving the best link or two along the way, you’ll avoid having to repeat the process for this query. You often won’t be able to remember exactly what you looked at or found online. However, if you take some time to add good keywords (tags) when saving a link, you can more easily jog your memory later. Google’s browser history doesn’t completely fit the bill. You can share your bookmarks and see what others bookmarked. This latter ability is the secret sauce behind getting human-filtered search results instead of just what Google spits back. With those points in mind, here’s what I use most frequently. By the way, I favor saving bookmarks in the cloud vs. on my laptop. I want to be able to access these anywhere I can get online. This is one of the original and best bookmarking services. 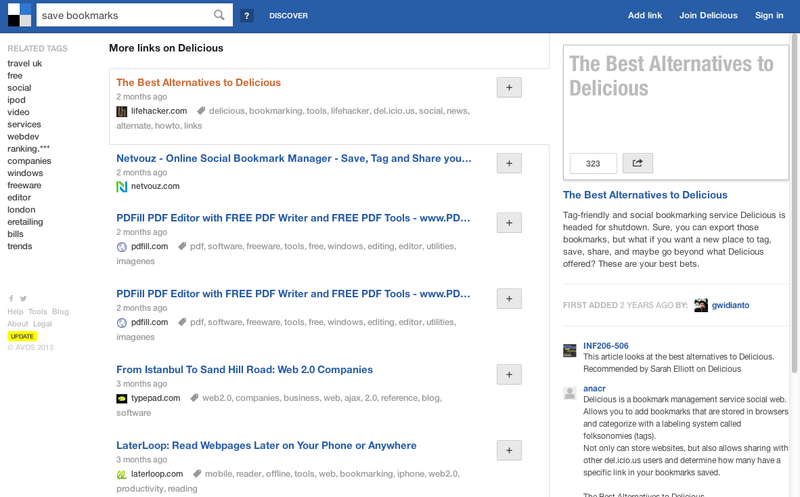 Now owned by Yahoo, Delicious remains one of the easiest to use. I especially recommend installing one of the browser bookmarklets. When you’re on a page, just click the button, add some keywords and an optional description and save it. You can choose to make bookmarks public or private. I do both, depending on what I’m working on. Anytime you want to search your bookmarks, just log in to the website. You can also search everyone else’s public bookmarks by keywords. This is a great place to go if you ever want to “curate” information fast. I also installed Delicious on my iPhone, making it easier to bookmark sites there, too. I found Pinboard when there was a nasty rumor a couple years ago that Delicious was shutting down. Fortunately, it didn’t. 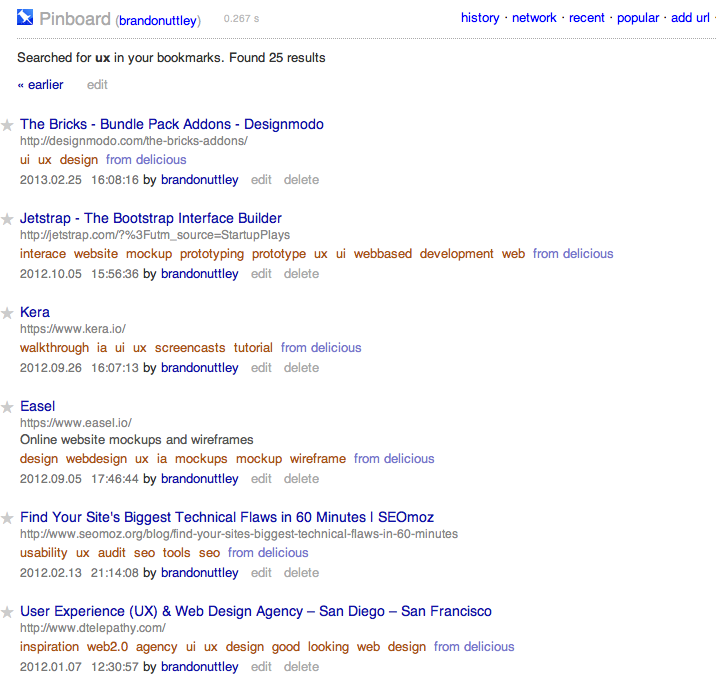 Like Delicious, Pinboard has browser bookmarklets and other tools to store your bookmarks. It goes a step further by letting you automatically add links you bookmark using Delicious, Instapaper, Readability and Pocket (formerly Read It Later). If you tweet, you can also add links in tweets, save Twitter favorites as bookmarks and add hashtags as tags (pardon the redundancy). Another neat feature is the ability to have tag “bundles” or related groups of links. As I mentioned, I don’t really save links from the browser on my local computer. However, if you like to do this, Xmarks is great. I set it up along time ago and it’s still a backup for old stuff I saved. Xmarks is the No. 1 bookmarking add-on. It synchronizes your local bookmarks across multiple computers, and across web browsers including Chrome, Firefox, Safari and Internet Explorer. After you install the add-on, click on the Xmarks icon to start backing up and synchronizing your bookmarks. 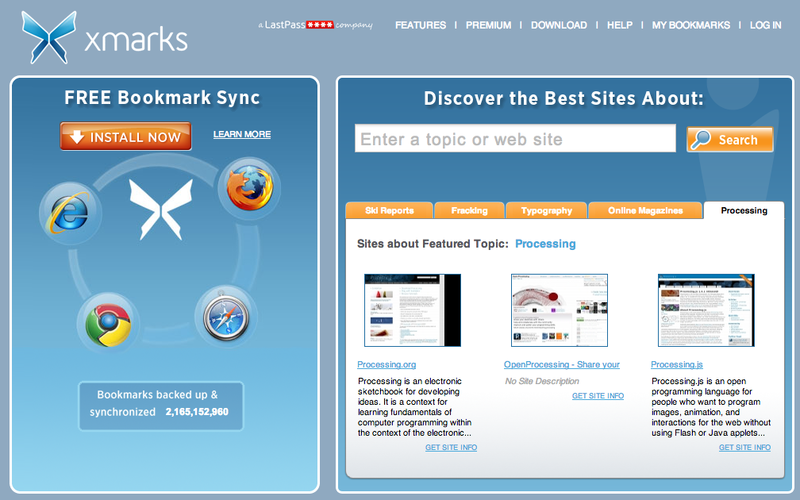 Xmarks also synchronizes your open tabs across computers and browsers. 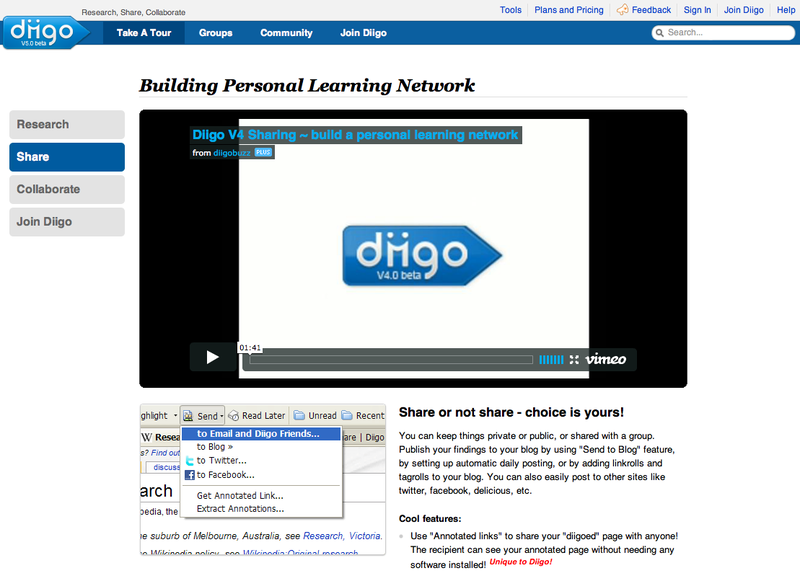 I have tried Diigo sporadically, and it is a very good service. It might become my No. 1 all-in-one bookmarking tool. Diijo is more like Evernote-Meets-Delicious, allowing you to do more stuff like add highlights to pages along with notes. Other excellent features include a quick “read later” button and the ability to take a screenshot in Chrome, Firefox and Safari. I typically look at a lot of sites on a daily basis, but I don’t have time to read everything right away. So I frequently will use one of several services to temporarily save the page or article. The two I like the most are Pocket and Instapaper. I use both intermittently and lately have gravitated more to Pocket. They work very similarly. When I use Pocket, my goal is to review these “temporary” placeholders regularly (like once a week). At that point, I can decide if I really want to save the link forever. If something is truly outstanding, I will also use Evernote Clearly to grab the full text. There are some very interesting “2.0” type bookmarking services (such as Bo.lt and Keeeb). I recently started using Bo.lt and am liking it for saving whole web pages intact. See my earlier review of Bo.lt. So there you have it. I’m a confessed Bookmarkoholic. Brandon Uttley is a seasoned web marketing and public relations professional with three decades of experience. Currently, he is CEO of Go For Launch, which provides marketing strategy and communications support to companies ranging from startups to established entities. Prior to his current roles, Uttley cofounded and was CEO of Command Partners, a digital marketing agency. He also confounded and was president of carbonhouse, inc., a nationally recognized web design firm. Uttley also served as director of public relations at Luquire George Andrews for five years, and an account manager at Epley Associates/Public Relations for three years. Brandon was the 2009 president of the Charlotte chapter of Public Relations Society of America, and he is an accredited member of PRSA National. If you'd like to get the latest Cool Tech Tools and more great information for free, please sign up for my email list! I want to earn and keep your trust. I will never misuse your information in any way. I help companies communicate better. My background spans the realms of public relations, advertising, web design, social media marketing and human resources. Hey, Alexa, Can You Fix Do Not Disturb?